I do. And I have for awhile. I feel like I am losing myself and then I feel guilty for even thinking about such things when I have a husband to be a wife to and a son still at home to raise and older children who are out of the house but do still need a bit of parenting now and again. And the days pass...and the weeks...the months...the years. And I look at a life that is only being half lived. I watch as dreams I once held move away beyond my grasp as I pass yet again another age mile stone. And I yearn inside. Longing for something I don't even know how to put a name to. Is this just something everyone my age (40 years old) goes through? I really don't mean to be a downer...especially so close to Yule/Christmas. Everyone else is posting these heartfelt messages on their blogs full of Yuletide cheer and here I am with one banger of a depressing post. Sorry. This is just where I'm at at the moment. And everywhere else I have to pretend that everything is just fine and I plaster a smile on my face and pretty much fool everybody. But here. Here I have to let it out a little bit or I just might explode...or implode...or something else not very pretty. I have written on here in the past about the issues that sometimes make my marriage difficult. I even wrote a couple of years ago about the real possibility of my leaving this marriage and moving to be nearer to my family. As you might have guessed I didn't go. For lots of reasons. The most important one being my son. And because I really do love my husband. I can honestly say that we are best friends and causing him pain causes me pain. That is what makes this all so very hard. If he was an a**hole it would have been easy to pack up myself and my son and hit the road. He's not anything of the sort. He is a really good man. He works hard for his family every single day. He wants me to be happy. He just doesn't want the same things that I want. He doesn't want to live where I want to live. Or do the things that I want to do. So the years pass. And I give in once again and go along with his program. I stay here in this town because he wants to be here. I run his business office because he needs me to--which leaves very little time for any of the personal pursuits that used to bring me pleasure. I watch my family--my mother and my grandmother getting older each year--wanting to be closer to them and not being able to. He loves the home we live in but my heart belongs in the more rural areas with room for animals and gardens. And even though we talk sometimes about moving to a home with more land I know that this will never happen because he really doesn't want to. I really, really do not know what to do. My son even wants to move to be nearer to his grandmother and other family members. But, I know that my husband will not go. And if I do, I will be tearing apart this family for the unknown. So there is fear involved too. See? I told you from the beginning. I am really and truly lost. Sorry again for being such a downer. But, this is me. This is honest. For the first time in a long time we didn't have anything going on today and so I decided that it would be a good time to clean this skillet up and start the seasoning process. It may be just my own preference but this brand seems to be a softer type of pumice and I just like how it's shape will change as you are using it so that you can really fit it in to tight spots. And I got to work. Now, I am not going to tell you that you won't have to use some major elbow grease even with using the pumice stone, but I can guarantee that it will be easier than without the pumice. I started using the pumice by accident. I had been trying to clean up a huge 12" cast iron skillet that I had seasoned improperly by using too much oil and I had been scrubbing with a low grade steel wool for what seemed like hours. In frustration I finally headed to Hewitts to pick up a higher grade steel wool hoping that that would start breaking down the gunk. I got the highest grade steel wool but then I happened to see the pumice stone and decided to give it a try. Major improvement!! It is now my tool of choice when trying to break down a gunky seasoning. I like to use a heavier fat the first time I season a pan--like bacon grease. It just seems to give the pan a better and stronger non stick surface. After the first seasoning I will use any oil I have on hand...olive oil or vegetable oil for subsequent seasonings. I think it turned out pretty good. I'll season it a few more times before I start using it but it is well on it's way to joining my other pans in my continuing culinary experiments. Hope you all are having a great Sunday and resting up for Thanksgiving this week. By the way if you have any tips about cleaning and seasoning cast iron I would love to hear them. Labels: Cast Iron, Goodwill, Inc. The title of this blog post is the same title of an article that I just read in one of our local community papers. Most of the things that I read in this article I pretty much always suspected but to have it put in front of me in black and white really kind of flipped me out and made me realize that we really cannot depend on our government to protect us or in any way do what is in our best interests. Big brother should be listed in our dictionaries under the words CORRUPT and INCORRIGIBLE. This particular article focuses on the marketing of vaccines--especially the "flu vaccines" that are being pushed so hard at this time of the year. Everywhere you turn, the media is telling us that we must get ourselves and our children vaccinated against any and every disease that might or might not be lurking out there just waiting to jump on us and attack. I can't tell you the number of commercials on television and on the radio that I've heard over the last few months telling us where to go and what to get. I don't like unnecessary vaccines. I am even leery of the normal childhood vaccines that most of us received when we were growing up and that I did choose to inflict upon my own children--only after many weeks of sleepless nights trying to come to a decision that would ultimately affect the rest of my dear one's lives. I came to believe that the whole idea of whether or not to vaccinate is a real double edged sword. On the one hand I would not want to go back in time to the days when so many of the horrible childhood diseases were still prevalent. Back in my great grandmothers youth, it was not an uncommon thing for one or more of your children not to live to see adulthood whether because they had succumbed to Scarlet Fever or Polio or any other of the horrible diseases that were still so common back then. I honestly do believe that vaccines have played a major role in bringing those diseases under control and in many cases eradicating them. However, I also believe that there is absolutely a connection between some vaccines and the fact that 1 out of every 150 of our children is now being diagnosed with some form of Autism. So, like I said, a very sharp double edged sword that cuts both ways. Anyway, I getting away from the main point of this post and it is already getting long...sorry. 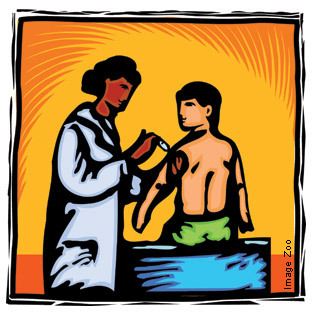 In 1999, the U.S. House of Representatives Committee on Government Reform launched an investigation into federal vaccine policy that's main focus was to look at possible conflicts of interest on the part of federal policy-makers ( you know, the ones who are telling us which vaccines are okay for what and when) in the FDA's Vaccines and Related Biological Products Advisory Committee (VRBPAC) and the CDC's Advisory Committee on Immunizations Practices (ACIP). The VRBPAC advises the FDA on the licensing of new vaccines, and the ACIP advises the CDC on guidelines to be issued to doctors and the states for the appropriate use of vaccines. Members of these committees are required to disclose any financial conflicts of interest and to not participate in decisions in which they have an interest but what the investigation determined is that the conflict of interest rules of both of these committees have been lax at best and that "advisory committee members with substantial ties to pharmaceutical companies have been given waivers to participate in committee proceedings". What the hell?!?! Four out of the eight CDC advisory committee members who voted to approve guidelines for the rotavirus vaccine in June of '98 had financial ties to pharmaceutical companies that were manufacturing it and three out of the five committee members who voted to approve the vaccine itself in December of '97 had financial ties to the pharmaceutical companies who were manufacturing it. "Researchers and consultants often go back and forth between working for the pharmaceutical industry and the CDC and FDA"
In 2003 Chiron (a pharmaceutical company) made "$332.4 million in sales on flu vaccine alone and had a 53% gross profit"
According to the Cochrane Collaboration, published in the British Medical Journal in 2006, "there is little scientific proof that the influenza vaccine is safe or effective for children and adults". I could go on but I think you get the gist of the article. It makes me crazy. But, one thing I can tell you. Me and mine will not now or in the future be getting the flu vaccine. What are your thoughts? 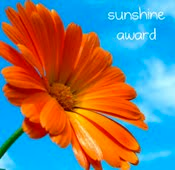 I wanted to give a shout out to Moonshine over at The Diary of a Witch, who surprised me today with a very cool award! 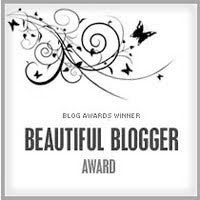 The Clucking Great Blog Award!! Thank you so much, Moonshine! Now I am to pass it along to 10 blogs that I enjoy reading. There are so many wonderful blogs that I follow that it was really hard to choose just 10. I love my time visiting with each and every one of you. These were all taken Saturday evening as we were grilling tri-tip for dinner. As we watched the clouds moved in and it began to rain. Luckily we all had our Easy Ups up for shelter and it stayed warm. It was just beautiful! To the south lightning was lighting up the sky. The majority of the storm was too far away so we never heard any thunder but it was still amazing! Hegatty Pegatty lives alone. Her house crouches low against the barren hill like a withered mushroom and the smoke from her fire twists and curls in solitude up through the vast and lonely sky, Hegatty Pegatty looks out from her small window and sees the empty valley. Hegatty Pegatty passes at dark along her track and hers are the only footfalls that echo the night. Hegatty Pegatty is happy to live alone. The stillness dreamily caresses her thoughts. The silence stoutly feeds her soul. Hegatty Pegatty's world is infinite and minute. Hegatty Pegatty travels far and deep and high, and she moves not a step from her hearthside. Hegatty Pegatty walks a rich and ragged road. 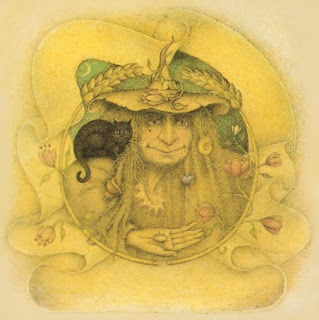 Hegatty Pegatty is that kind of old woman about whom stories abound. She can scarcely spit over her gate or fart into the wind but the flames of eager rumour are being fanned into the furnace of bizarre and grisly folk tale. Village gossip, fiction and fable tenaciously cling like ivy across the surface of her life. Such are the children of nervous minds. There are none so afraid as those who fear that a difference should walk among them..and Hegatty Pegatty is an old woman who likes to live alone. The nervous minds say: you are uncomforming and therefore very untidy in the scheme of things. The nervous minds say: you are not understood and therefore most uncomfortable to behold. 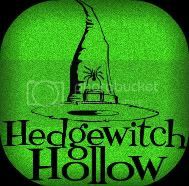 Hegatty Pegatty is a witch. Of course she is. 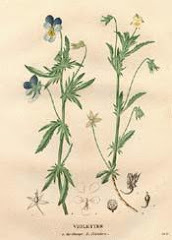 Does she not harvest strange greens from her tiny garden and ferment unlikely purple brews on her autumn sill? (Hegatty Pegatty is a firm believer in fresh salad and tonic wine as the route to certain health.) Does she not chant in unearthly tongues and sing to the waxing moon? (Hegatty Pegatty has a fine ear for melody.) Does she not jump naked into the winter stream? Does she not consume fat black slugs for supper and play poker with the devil? (Of such fancies have many old women been accused.) Does she not cast and curse and bind and break and hex and howl? She does indeed, and is a little inclined to harness a naturally robust and expressive spirit. It is said she wears live crows around her hat, she has been seen to ride a fox across the hills. Ah yes. Hegatty Pegatty answers to no-one. As she chooses she takes a cup of tea, grows hairs on her chin and sleeps through the afternoon. As she chooses she talks to herself, observes the unseen and does the unexpected. As she chooses she lives the impossible dream, reinvents reality and tangos with time. Hegatty Pegatty cannot be tamed or tied or trapped. Her spirit is swift footed and canny and her walls are built of impenetrable courage. Roof of resolve, door of determination. No- one can touch she who is a castle unto herself. And yet it is true that a hundred, thousand, million times her body was cracked and grilled, cracked and grilled, assaulted by the assembled forces of outrageous fear and vicious stupidity. Yes, there were many nights when Hegatty Pegatty sat chilled and grey in her chair, rocking to the cold rhythms of distant sufferings. But a pot keeps warm on a single ember and Hegatty Pegatty's stove is hotly singing once again. 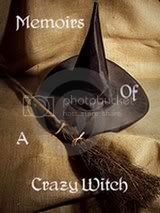 It is said that to declare your belief in witches you have only to put the kettle on. Hegatty Pegatty walks to the village. The bog flies gather. They are chanting the tight lipped words of their nervous parents: mad Hegatty, bad Pegatty, eater of children and spoiler of milk, hairy Hegatty, stinky Pegatty, where are you going, alone..
Hagatty Pegatty stops on the outskirts of the village. She turns to face the bog fly children who push and fidget, bump and huddle a little way behind. The children watch. Slowly carefully Hegatty Pegatty peeps around the edges of her coat. The children stare. She grins, she winks, she pauses, she lets them see her long enough to wonder if she's really bad and mad or just a bit surprising...then she is off, wrapped again in her coat of other people eyes. Hegatty Pegatty lives on the moor, chant the children softly as she disappears along her track, Hegatty Pegatty OPEN YOUR DOOR! For the first time since I first took up the mantle of Witch, I finally have a space all my own where I can make my magick. It is incredible! Being able to have all of my things out where I can see them--connect with them--is just so powerful! My altar is now set up in what was my daughter's room. She moved to Oakhurst a few months ago to find new and better opportunities and although I am very happy for her and know it was definitely the right move for her, it doesn't make having her so far away any easier. That is one of the reasons, I think, that I had not touched or changed her room since she left. However, just before Mabon, I was trying to figure out where I would be able to hold my ritual and the thought suddenly came to me that there was a wonderful garden-like window facing the East in my daughter's room--with a wonderful built in wooden bench in front of it. As the idea took shape and I went in to look at the window, I knew that it would be the perfect spot to set up my altar. So, after I called my daughter and asked her if she would have a problem with it and she assured me that she would not, I got to work. My Mabon ritual was really awesome...the big beautiful moon rose right in front of these windows and shined her light through the glass to bathe me in her rays. I hope everyone else had a magickal Mabon as well. Blessings to you and yours! 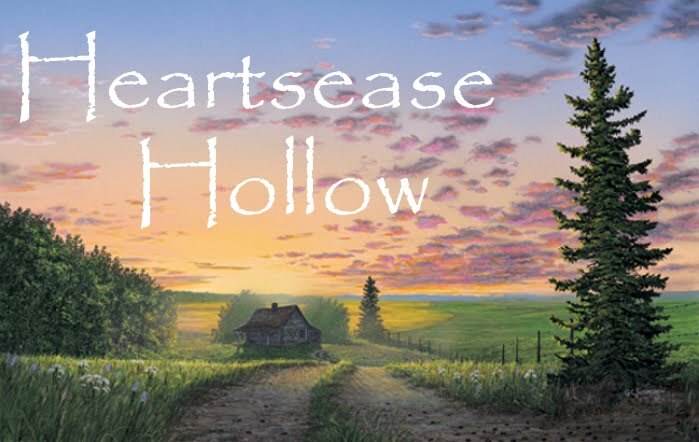 Welcome to Heartsease Hollow. They say it isn't the final destination, but the journey itself that really matters. This is mine... I am a woman, a wife, a mother, a daughter, a sister, a friend...and a witch. This blog will be a journal of my path as all of those things. Gardening...being close to the earth...brings me a little peace in a rather chaotic life. I love watching things grow and being a small part of the process...so ya, I'll be blogging about that. My family keeps me on my toes with their antics...so ya, you KNOW I'll be blogging about that. I do not come from a long line of witchy descendants(that I know of). I have no claim to any special connection like that. Hey, I wish I did. All I know for sure, is that for as long as I can remember I have felt a witches blood flowing through my veins--even before I knew what that meant. 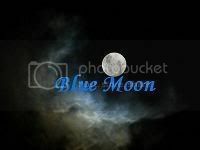 I have heard the wind calling my name and felt the power emanating from the full moon. I have been lackadaisical in my studies thus far, and I want to change that. 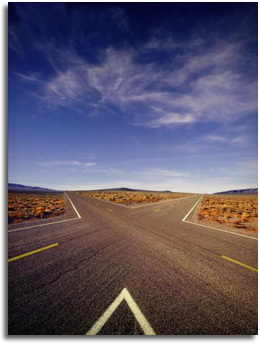 I want to rededicate myself to my path...so, ya, I will definitely be blogging about that. Come join me on this journey if you like. I can use all the help I can get. Places I Like to Visit...Have a Button? Let Me Know & I'll Add it Here.